Super 8 cameras were released in 1965 by Eastman Kodak as an improvement over their standard 8 mm format. Many memories were captured on this silent format and one can almost spot the distinct look of Super 8 a mile away. 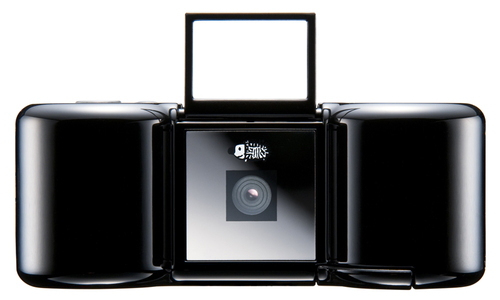 Superheadz in Tokyo have designed a digital video camera that shoots “Super 8 like” videos in 640×480 format – the Digital Harinezumi 2. The designers of this camera intentionally removed audio from the recording format and there’s no live view when shooting still photos! This unique toy camera isn’t for everyone but for those who loved the Super 8 format or a warm retro look it is right up your alley. We’ve dug our own homemade Super 8 movies out of the archive from 1982 and encoded them for your enjoyment below. As soon as we’re able to get our hands on our own Harinezumi 2 expect a full review and comparison to the original format. Full camera specs and product link after the jump.